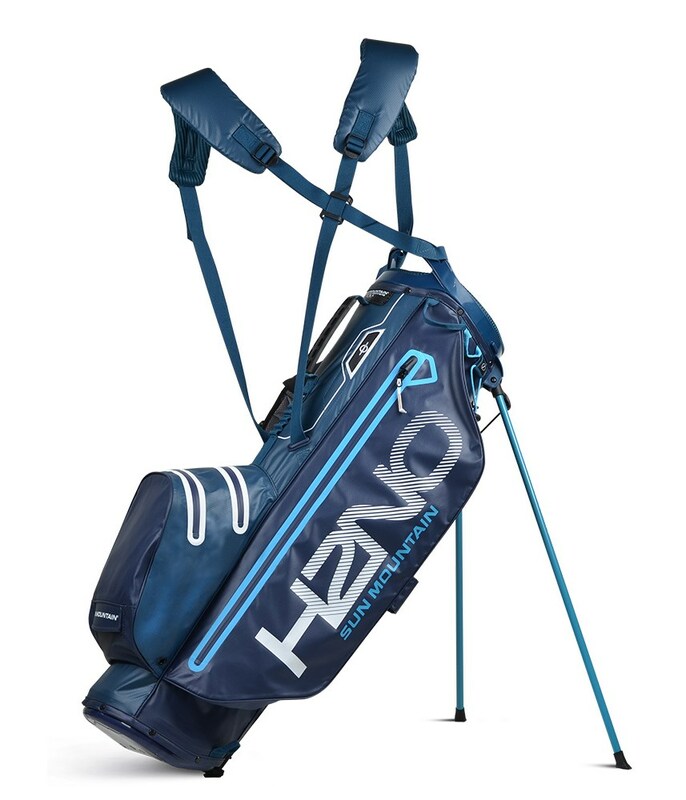 Sun Mountain have created their H2NO Superlite Stand Bag to provide the perfect blend of comfort, balance, storage, style and protection against the elements. 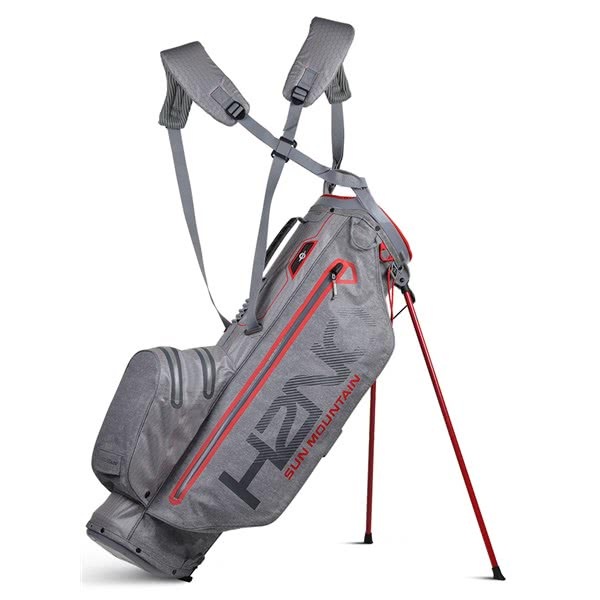 Constructed using a superlite waterproof fabric and high quality YKK zippers, the H2NO Superlite Stand Bag features a taped seam design that will prevent the bag letting in even in the harshest of weather. To provide superior comfort and balance when being carried, Sun Mountain have used the X-Strap Dual Strap System which features their high density foam technology. Sun Mountain have provides a 23cm, 4-way top that features an integrated grab handle that enhances lifting and lowering comfort. The top features 4 full length dividers that will prevent grip crowding at the bottom of the bag. 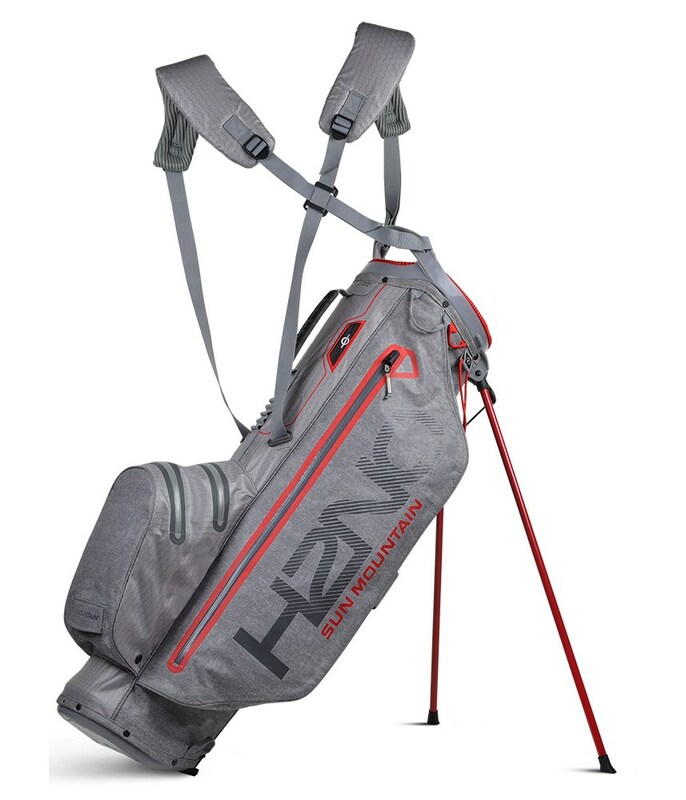 A top mounted, durable stand mechanism provides the H2NO Superlite with incredible stability on all surfaces. Should the stand not be in use or you want to use a trolley or buggy, the leg lock system allows you securely retract the legs.